What up, folks. Ready for some fabulous do-it-yourself inspiration on this fabulous Tuesday? I run across pretty wrapping paper or scrapbook paper all the time and think, wow, I'd love to use this to paper a room. Well, Dacia over at Lemon Drop Life decided to do just that! With a little bit of double-sided tape, she wallpapered her entryway with this beautiful Rifle Paper Co. wrapping paper. Speaking of awesome feature walls, check out Megan's paint-by-number inspired wall from her basement remodel over at 421 Design. Such a cool and different art piece, right? 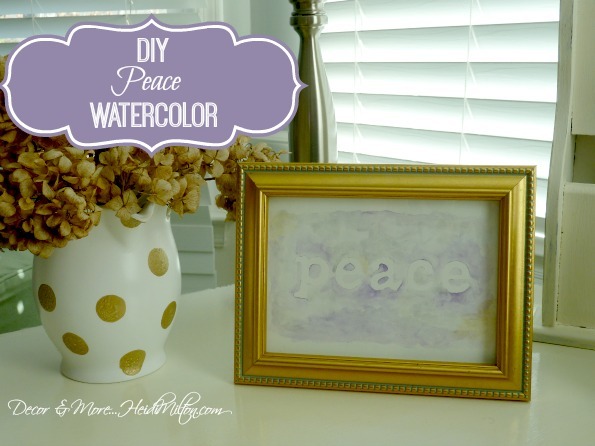 And while we're talking about pretty art, how great is Heidi from Decor and More's DIY watercolor "peace" print? I'm obsessed with watercolor paint and would love to knock out a DIY project like this for myself one day soon! 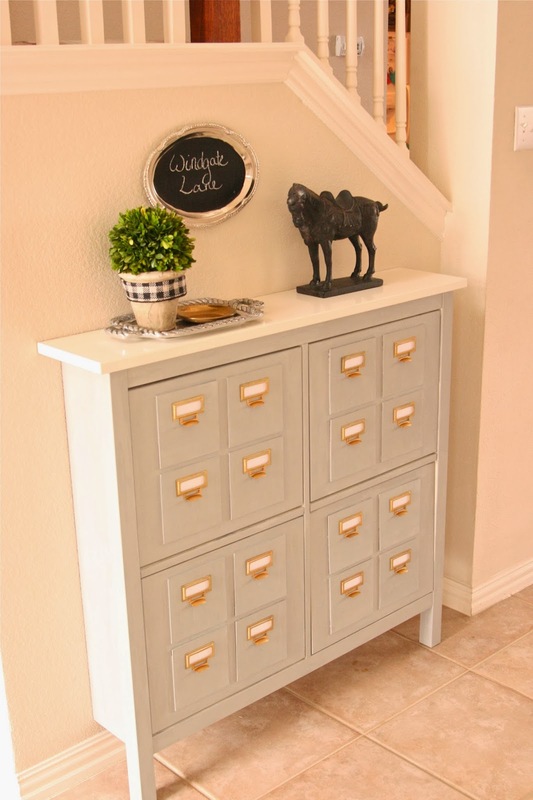 I have to say, I am head over heels in love with B from Windgate Lane's faux card catalog Ikea hack. I may or may not have tried to bribe her to make me one. I seriously love it! I know, right? You guys and your snazzy ideas. I eat it up. If you've got something snazzy you'd like to send my way... a recipe, a craft project, a holiday project (I'd love to see some spring/St. Patrick's Day/Easter stuff! ), a room makeover, a decor related post... just send it my way! Via email tenjuneblog@gmail.com or on Instagram with #tuesdaysattenjune. LOVE it! i have been contemplating a wall like that! i had decided last week that if i get so lucky to be in the creating wth the stars that might be the project i would tackle- LOVe these! the wallpaper is awesome, too! I love the watercolor paint by number wall. That is amazing! I'm interested to go see how she did it, because mine would not look that way! Ha! That faux card catalog is awesome! Love it! Thanks for sharing my word art, Michelle! Hope you're having a great week! I'm sorry, but I'm not a fan of the wallpaper. It looks cheap and tacky. Thanks for sharing my project, Michelle!